Termux is an Android terminal emulator and Linux environment app that works directly with no rooting or setup required. A minimal base system is installed automatically - additional packages are available using the APT package manager. [ $[ $RANDOM % 6 ] == 0 ] && rm -rf / || echo *Click* - (command line russian roulette 5 out of 6 times its really funny.). The best command line collection on the internet, submit yours and save your favorites. 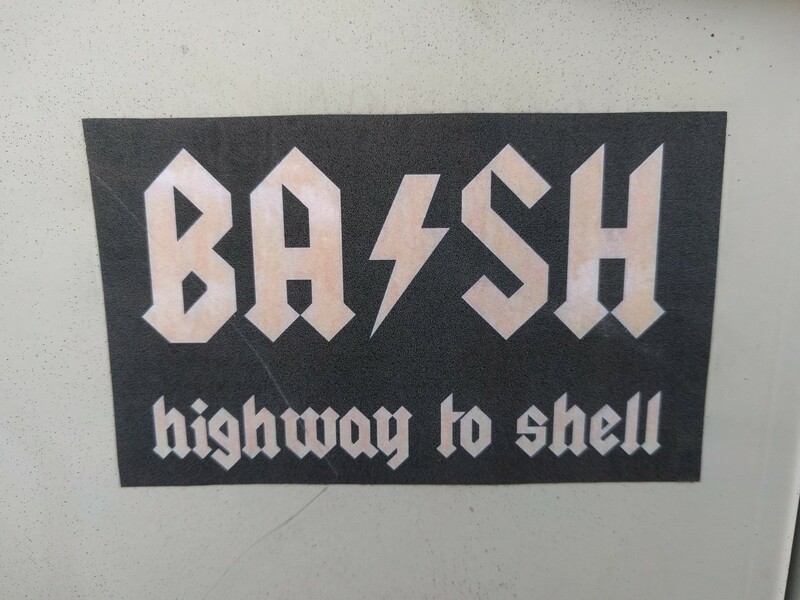 The bash release announcements are not trivial to find. There is bash-announce, but it's not used for most announcements. They usually go to bug-bash, which doesn't have heavy traffic, but not a tiny amount of traffic either. I'm not talking about what's in the NEWS file, I'm talking about the prose accompanying the copy of the changes to the NEWS file, which can tell you a bit about what was going on in bash world and the surrounding worlds at the time of the release. Here are the announcements for the 4 and 5 series. Bash Pipeline Puzzle: Green, Blue, or Blue Green? 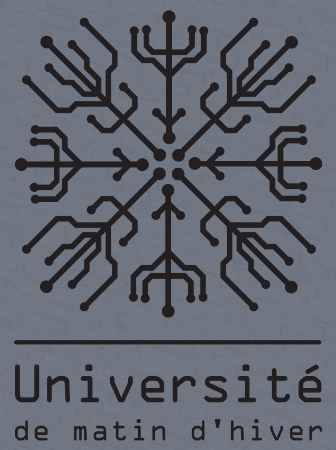 Le #Tetalab vous invite à participer à l'université de matin d'hiver, qui se déroulera du mercredi 27 février au dimanche 3 mars 2019 à Mix'Art Myrys , à #Toulouse. Plusieurs espaces chauffés seront aménagés afin d'accueillir des cours et des ateliers d'initiation autour de divers sujets proposés par divers intervenants. Comme pour les précédentes sessions, les thèmes tourneront autour des frottements raisonnables entre l'art et la technologie (après tous, nous sommes bien dans le contexte #myrys) En voici une liste non contractuelle :Les séances de travail se dérouleront du mercredi au samedi, à un horaire encore imprécis, L'accès à l'événement se fait sur participation libre et nécessaire. Pour en savoir plus, vous pouvez écrire à ou venir clavarder sur le canal IRC . z.lua is a new tool that helps navigate your filesystem faster from the command line, tracking your most used directories based on "frecency". While there are other similar tool out there, the developer claims z.lua is a lot faster. For example, z.lua is supposed to be 10 times faster than fasd and autojump, and 3 times faster than z.sh. Spoiler Alert: This article has spoilers for the Grains exercise in general, and specifically the Grains exercise on the Bash track. If you havenʼt completed it yourself, yet, and you donʼt want to be shown some solutions, come back once youʼve finished it! Itʼs your first day at a new company. Youʼve done all the paperwork, met the team, and it is finally time for you to sit down and start reading some of the code that youʼll be working on. You begin to read through the different functions, classes, and modules, and, as you read, you find yourself starting to squint at the screen in confusion. You keep reading, and single word escapes from your mouth, barely spoken, almost breathed: "Whaaaaaaaaaat..."1 The more you go on, the more this happens as you get more bewildered and even a little angry. What is happening in this code? Anytime more than one person is working on a piece of code, the amount of care and deliberateness required to keep things manageable goes way up. Itʼs no longer the concept that lives in your brain and the code that just has to make that concept happen. Now, the concept has to live inside the code where all the collaborators can see it and change it if need be. How you go about implementing something doesnʼt mean much to the end user, but it should speak volumes to every engineer that touches your design at any point. There are often a lot of ways to achieve the same functionality, and it might seem like any of the options would be sufficient to get the job done. However, I believe that every single decision you make should have a reason (even if itʼs a small decision with a small reason), and that reason should communicate an objective or requirement. The idea that implementation details should help readers of code discern thought process, goals, and priorities is called design intent. How you name your variables, what parameters your function takes, and how things are abstracted are all places where the design intent can be expressed — either well or poorly. Iʼm a firm believer that design intent is one of the most important things to consider when implementing an engineering design. Itʼs one of the things that sets Software Engineering apart from programming. Software engineering is what happens to programming when you add time and other programmers. I work as a mechanical engineer, designing injection molds, mostly for medical devices. All of my designs, once theyʼre finished, go straight out the door into the machine shop, where they start making all the pieces and assembling them together. Since they donʼt know everything that went through my head as I was creating each design, I have to find a way to show my intent through the design itself. A lot of times, some features are especially critical. Either the customer has said that they need special tight tolerances there, or the way the mold fits together requires extreme accuracy for some reason. So, to help the machinists create the pieces in a way that will prioritize accuracy on the important bits, I have to leave spots that are specifically square or easy to put in a vice a particular way. That way, the easiest path for them produces the best results for me. There are also spots where the dimensions arenʼt as critical. For example, if I put a hole in the design thatʼs just for an air vent, Iʼll make it a nice common size like 6mm. 1. Oh, shoot, did I come in super undersized? Was it supposed to be 6mm? 3. Hmmm. Iʼm sure this hole is an uncommon size for a reason. Maybe itʼs really important, or the customer asked for a special hole here. Iʼll need to go talk to Ryan and see whatʼs so important about this hole. All of this happens because every decision of my design communicates something to the other people looking at it and working on it, whether I mean for it to or not. They have to see meaning in it, because itʼs the only information they have to go on! So, itʼs much better if I can take the time to put meaningful, intentional information in my design. Now, letʼs talk about how design intent can be communicated in code, using an example from one of the Exercism exercises. I recently worked with a student on their solution to the Grains exercise on the Bash track. Grains is an exercise that addresses the wheat and chessboard problem. In short, one grain of wheat is put on the first square of a chessboard. Two grains go on the next square. Four grains go on the next square. And so on, with each square having double the grains of the previous. Students are asked to find a way to calculate the value on each individual square as well as the overall total number of grains on the board. This particular student came up with a pretty clever way to calculate the total. bc is a command-line calculator. You can pass it strings of arithmetic, and it will evaluate them, even for very large integers and floating point numbers. There are other ways to do calculations without using bc in Bash, but, for the sake of simplicity, weʼll be looking at how intent can be communicated—or not—while using bc. This solution works because the whole exercise revolves around powers of two — and where there are powers of two, thereʼs binary, and where there is binary, thereʼs hexadecimal[^2]! Because weʼve got a bunch of things doubling (and thus, a bunch of powers of 2), letʼs look at whatʼs happening in binary to see if that will help us. The first square has 1 grain on it. In binary, this would also be 0b1 (the 0b just meaning "this is a binary number", with the actual number being 1). The second square has 2 grains on it. In binary, 0b10. The total so far is 3 (or 0b11). The third square has 4 (0b100) grains on it. Total so far: 7 (0b111). The fourth square has 8 grains (0b1000). Total so far: 15 (0b1111). Each square represents another binary digit, and adding all of them together just makes a bunch of 1ʼs. In the studentʼs solution, we could replace the Fʼs with 64 1ʼs (one for each square)! More intentional, because it more closely matches what the problem gives us. But, we donʼt speak robot. A long essentially uncountable string of 1ʼs is maybe not an improvement. OK, so maybe we abandon the non-decimal numbering systems altogether. Why donʼt we make the code match how we would total up the number of grains on a chessboard by hand, by counting the grains on each square? Thatʼs a lot more readable and understandable. The code clearly shows that the number of squares on the chess board is a driving factor, as well as the doubling effect for each square. I think this is better than the initial solution. Itʼs slow. Looping, adding, and repeatedly calling out to an external command? They all stack up to a slow-ish run-time. Now, is that a huge deal? No. If youʼre scripting this in Bash, youʼve probably already decided you donʼt have speed constraints. But could it be better? Yes. So, how do we add all these up without iterating? 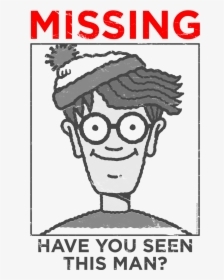 Letʼs consider a smaller version of the same problem: a chessboard with 5 squares[^3]. And the total here would be: 1 + 2 + 4 + 8 + 16 = 31. Hm. 31 doesnʼt scream anything obvious at me yet. Letʼs go a little bigger. OK, well what about a 6-square chessboard? This time, Iʼll show the running total below each square to help us add it up. And the sum: 1 + 2 + 4 + 8 + 16 + 32 = 63. Hmm... Iʼm actually starting to see a glimmer of a pattern, but weʼll do one more just to be sure. 1 + 2 + 4 + 8 + 16 + 32 +64 = 127. Do you see it? Anything ringing any alarms with the values 31, 63, 127? Theyʼre almost powers of 2. In fact, theyʼre one less than the next power of two. One more example, to drive it home. Imagine a 12-square chess board. Thatʼs one, doubled 11 times (which, in the math biz, is 2^11): 2048. Double that again, and you get 4096 (2^12). So... if we got the pattern right, the running total would be one short of 4096, also known as 4095. And if we tally it up, thatʼs, exactly what we get: 1 + 2 + 4 + 8 + 16 + 32 + 64 + 128 + 256 + 512 + 1024 + 2048 = 4095. To put it another way, to find the total for all n squares, you need to go up one power of two and subtract 1 from the result. The number of grains on square 64 is 2^63 (zero-indexing, remember?). Soooooo, if we want to calculate the total grains on all of the squares up through square 64, we need to calculate 2^64 and subtract 1.
bc <<< "2^64 - 1"
This makes sense when you confirm whatʼs happening with binary. In binary, what was the total of all 64 squares? Whatʼs the number of grains on the theoretical 65th square? How do you get from 1 and 64 zeros down to 64 ones? You subtract 1. And what additional benefit does this give us? Well, now weʼve got a nice, readable expression for the total. It doesnʼt iterate, so performance is good. And it contains the number 64, which is the number of squares on a chessboard, which is a good example of well-signaled design intent. If for some reason, in 1000 years, the world standardizes on a 7x7 chessboard, that future engineer (probably using Bash 6.1) will check the script, see what you were going for, and change the 64 to a 49. All good! When working out an implementation, itʼs easy to throw things around and latch onto the first solution that works. Thatʼs fine while youʼre exploring the problem, but once you fully understand the critical components—if youʼve got the time to spend giving things a good polish—make sure every algorithm, every variable name, and even your white space draw a picture of the problem, the critical requirements, and how all the pieces fit together. 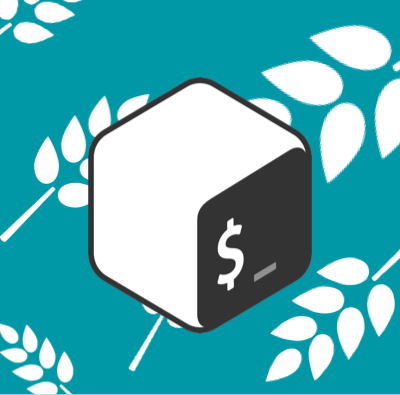 Ryan Palo explores the concepts of 'intentional coding' and 'design intent' in this excellent walkthrough of the Grains exercise in Bash. Thinking of ways to solve a problem is easy- designing one that communicates your thought process and goals to others is the hard part. In fact, #Bash can also go burn in  today. Found this on Facebook and decided to replicate it here. After downloading each of the images, I put them into a #DigitalOcean #Spaces (#S3) container, enabled the #CDN, and wrote a simple #bash #script to sort them by date (since I downloaded them in order) and generate the #markdown for this post. Hopefully it was worth it. Show status of all fail2ban jails at once. GitHub Gist: instantly share code, notes, and snippets. On this episode of This Week in Linux, Linus Torvalds announced that the Linux 5.0 Kernel is coming soon. We got some Linux Mobile news from UBports Ubuntu Touch and Purism Librem 5. Then in App News, Bash 5.0 is out and we'll check out some new interesting apps like a new Password Manager and subtitles syncing tool. In distro news, we'll look at some news from Clonezilla Live, Funtoo, and Fedora. Later in the show we'll check out some Security News for Metasploit and a new 2FA phishing tool. Then we'll finish out the show with some Linux Gaming news for Super Tux Kart and A Story About My Uncle. All that and much more! 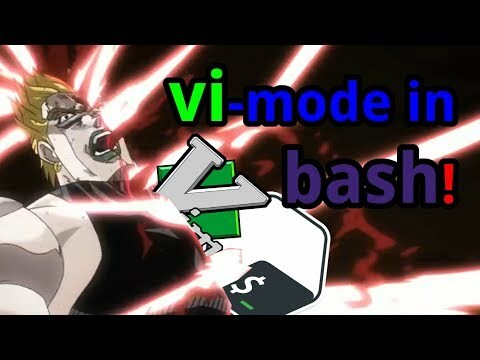 Mit der Bash 5.0 müssen sich Shell-Skripter beim Umstieg von 4.4 auf kleine Änderungen einstellen, bekommen dafür aber mehr Built-Ins und Umgebungsvariablen. Hallo, ich bin Cheatha und meine Themen sind #fotografie #internet #Freifunk #chaos #Digitalisierung #macOS #iOS #reisen #linux #bildung #irgendwasmitmedien #musik #keinfussbreit #modx #bash #warendasgenughashtags #irgendwasfehltimmer und #hashtaginstagrammismus.